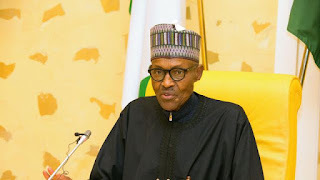 A presidential aspirant on the platform of the Peoples Democratic Party, PDP, Alhaji Tanimu Turaki, (SAN), has described the President Muhammadu Buhari- led administration as a failed government under a clueless leader. Turaki made this known at a meeting he had with the PDP delegates in Ibadan, the Oyo State capital, where he warned Nigerians not to be naïve as to vote for a “clueless government, again. He noted said: “We, Nigerians have many questions to ask the President. He said if he becomes President, he won’t go on medical tourism, today he is in London; he promised to reduce pump fuel price, make naira at par with the dollars, and abolish the office of the First Lady. But today, he is using the public fund for the Future Assured initiated by the first lady. “Nigeria is at a critical stage. There is crisis in 28 out of 36 states. In 22 states, the army has been deployed to manage the crisis. This means that the police have been overwhelmed. For the country to move on, we must consider the issue of state police, devolution of power and restructuring. “We have seen a lot of anti-democratic activities and movements taking place since this government realized that Nigerians have resolved to push it out. We have seen what has happened in Benue and other places in the country but never in our wildest imagination have we ever imagined that the symbol of democracy in Nigeria, the legislature will be placed under siege in the way and manner it was done today.